Product certification for passive fire protection. The scheme assures performance, quality, reliability and traceability of all passive fire protection products and systems. The CERTIFIRE brand is recognised by regulatory authorities worldwide as an international mark of fire safety. 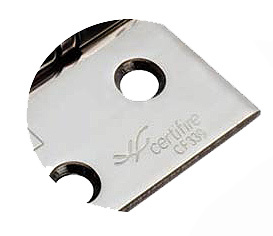 The image below shows the certifire marking on a hinge.